I have received a lot of responses to my recent migration guide, and would like to thank everyone for taking the time to reply and also for the kind comments. It is much appreciated! 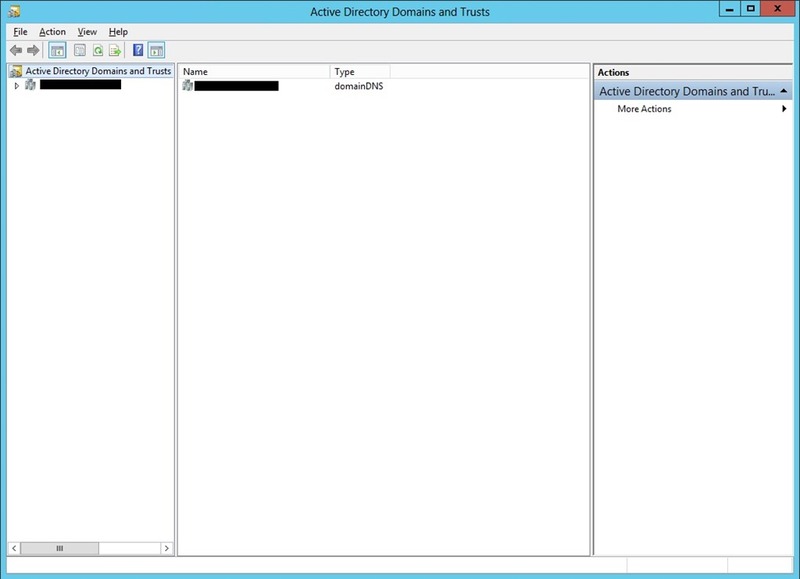 Some have asked about this process involving older Server 2003/2003 R2 Domain Controllers? The answer is yes, this be performed very easily. 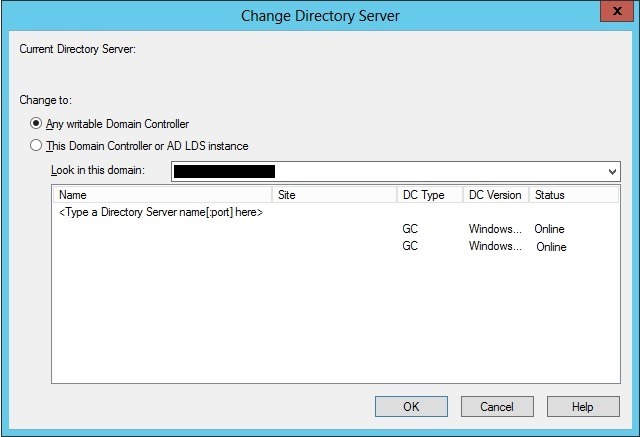 Simply add a new Server 2012 member server to your existing environment then promote it as a new domain controller. The promotion wizard in Server 2012 actually prepares the AD schema and domain as part of the process, so in theory there is now no need to run the legacy adprep /forestprep command from an existing DC. I did however include this method in the guide just for the simple fact that I have been used to performing migrations using it. One of the most frequent responses I have got towards the guide is regarding the transferring of FSMO roles. 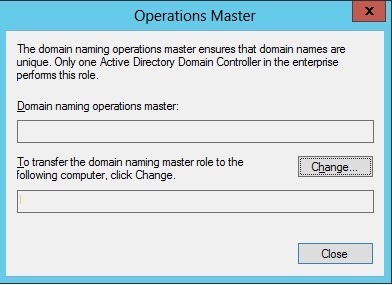 Whilst I included the process of carrying out Schema Operations Master, RID Master and PDC Emulator roles, I forgot to mention one other FSMO role which is the Domain Naming Role. This role is particularly important as it is responsible for controlling the addition or removal of domains in the Active Directory forest. Hence, the domain controller holding this role is the only one that can perform these operations. 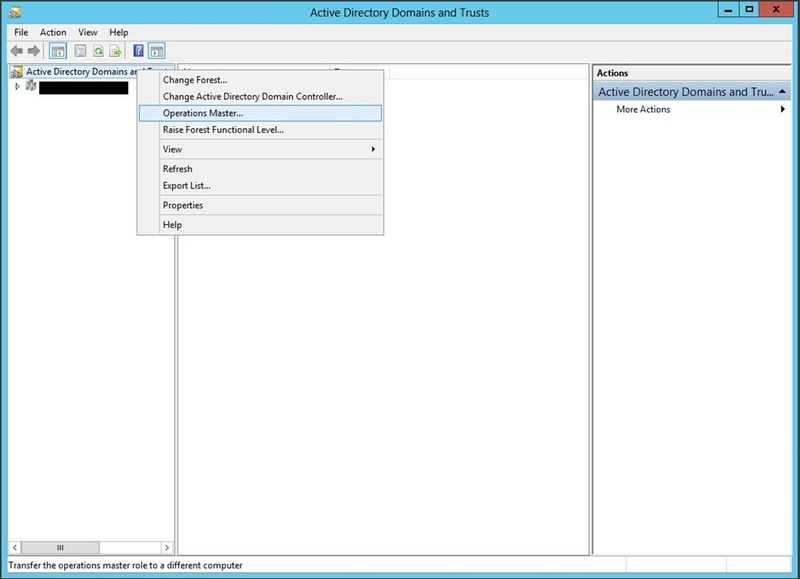 The domain controller holding this role can also add or remove cross references to domains in external directories. Please note that the domain name and server names have been removed from my screenshots for security reasons as these were taken from an active production environment as opposed to a lab environment.